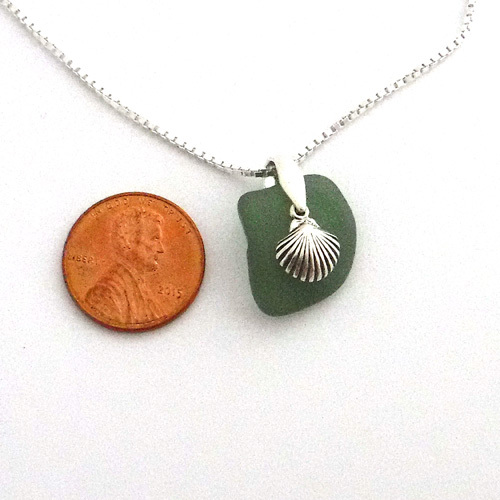 This apple green sea glass necklace with a seashell charm will make the perfect graduation gift for the student that loves the beach. This sea glass pendant is made with genuine handpicked sea glass beach combed by us from a beach along the coast of one of the Abaco Islands. 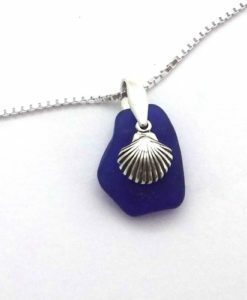 The sea glass is finely drilled and has a seashell charm that floats on top of it. The sea glass measure approximately 3/4 inch long. All of the metal is sterling silver. Add a 16″,18″,or 20″ 1.25 mm sterling silver box chain for only $10 more. 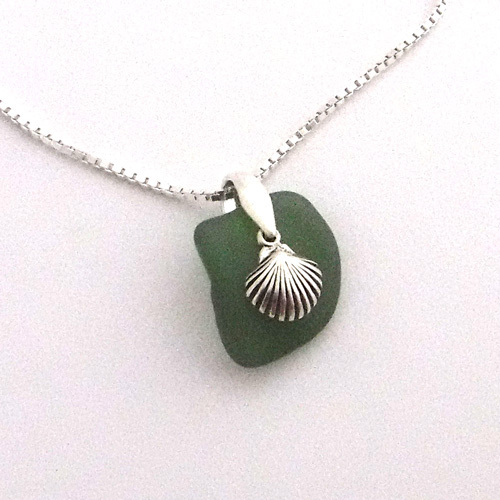 Sea Glass makes the perfect Mother’s Day gift for the sea glass lover in your life. The necklace is shipped boxed, ready for gift giving. 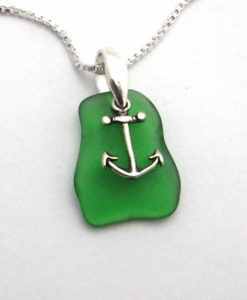 Sea Glass Designs is a professional jewelry company and has been in business for over 13 years. All of our jewelry is expertly crafted in our studio. Only quality materials are used in our jewelry. 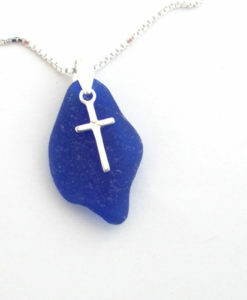 We guarantee all of our sea glass is authentic and has not been altered in any way. 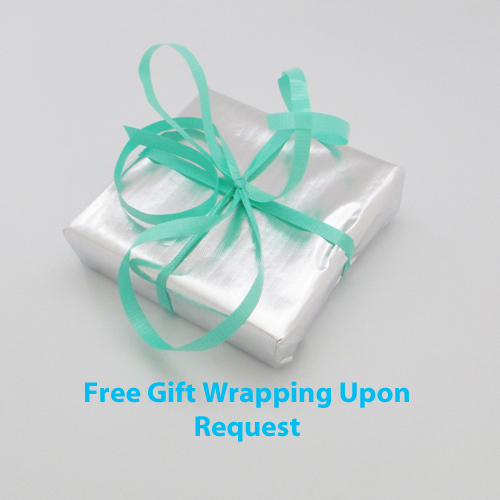 All of our jewelry comes with a 30 day money back guarantee no questions asked. We want you to be totally satisfied with your purchase. 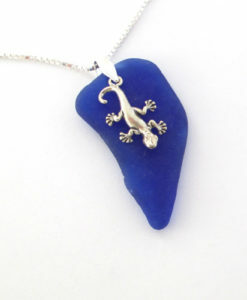 We specialize in custom pieces made from your sea glass collection.